Tools for Solidarity is helping women and people with disabilities living in rural areas! On December the 10th, Tools for Solidarity (TFS) sent a container full of sewing machines and tools to Tanzania, Mwanza, to help women and disabled people living in rural areas. Local and European volunteers helped filling the container. It was the result of 6 months work and over 25 years of experience in this field. This shipment included about 350 sewing-machines and 814.5 kg of material and reached Dar es Salaam on February, the 12th. 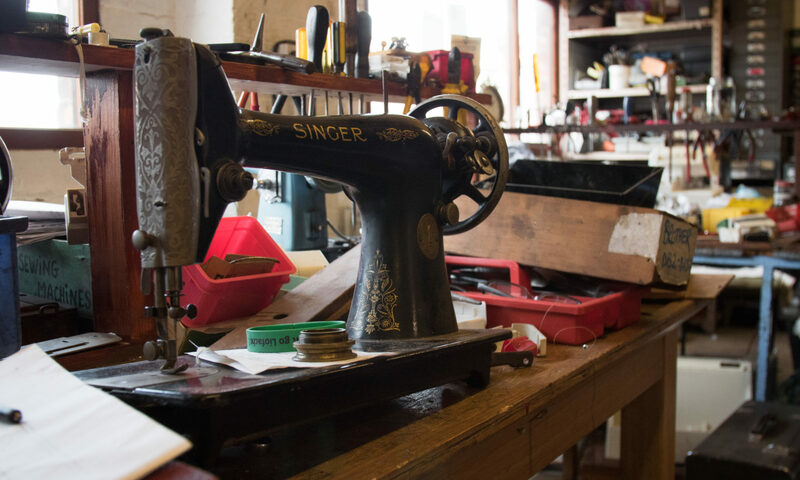 Sewing machines and tools were donated from all over Northern Ireland, therefore it is important for us to give a feedback and to say a huge “thank you” to all the people who have helped us. TFS also works with the assistance of supported volunteers from Belfast, Downpatrick and Mourne Grange, a Camphill community in Kilkeel. These volunteers have a wide range of disadvantage from mental illness to physical disabilities. They help us all year long to refurbish the tools and to fix the sewing machines and gave a great hand to fill the container. We are working all together regardless of our nationality, religion, disability, political opinion, age and so on… in order to create a new Belfast lifestyle. Click here to contact us and help improve the lives of families in Africa. Thank you for supporting our work! Tools For Solidarity is a charity registered in Northern Ireland.